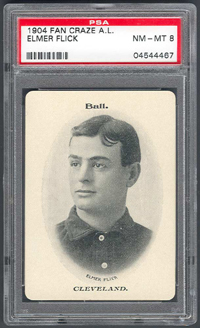 A slick fielding, speedy outfielder for the Phillies and Indians, in 1905 Elmer Flick won the AL batting crown with a then record low average of .306. in the spring of 1907, Detroit thought so much of Flick they offered Ty Cobb in trade. The Indians turned Detroit down. That season Flick hit .302 in his last full season, Cobb hit .350 in his first. 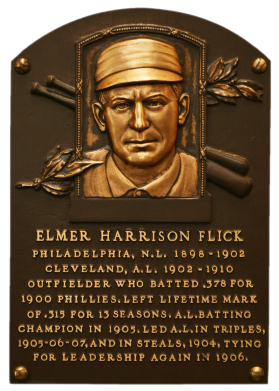 Flick compiled a .313 career batting average. 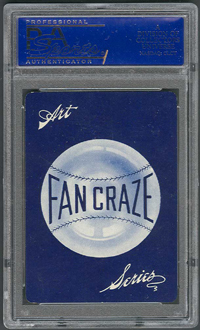 Comments: At my first National, in Atlantic City, NJ in 2003, I purchased a SGC 86 example of this card from seller Roger Burns/Four Star Cards. I upgraded to this PSA 8 in March, 2007 when I won an eBay auction from seller davidbvintage/David Bryan. Set Name: Fan Craze A.L. 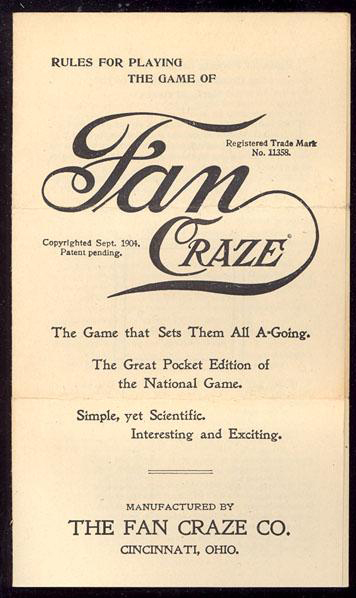 Description: One of the earliest 20th Century baseball card sets, this 1904 issue from the Fan Craze Company of Cincinnati was designed as a deck of playing cards and was intended to be used as a baseball table game. 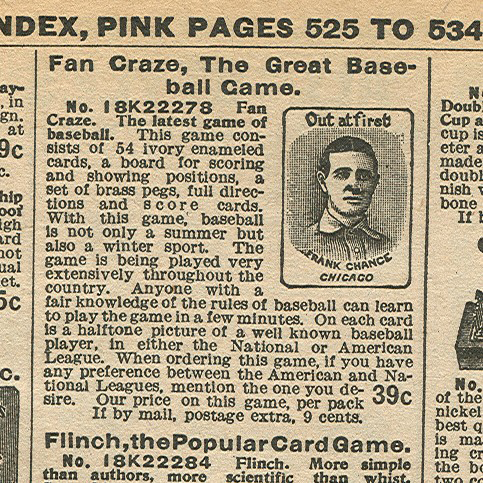 Separate sets were issued for the National League, which are printed in red, and the American League, which are blue. 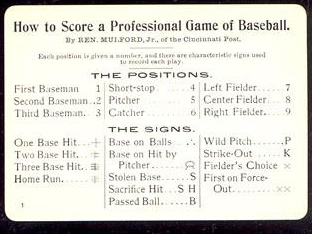 Both sets feature sepia-toned, black and white player portraits inside an oval with the player's name and team below. 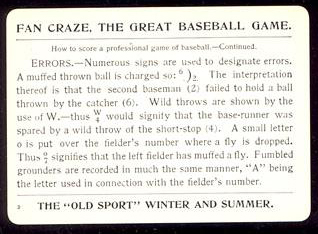 The top of the baseball card indicates one of many various baseball plays, such as "Single", "Out at First", "Strike", "Stolen Base", etc. The unnumbered cards measure 2-1/2" X 3-1/2" and are identified as "An Artistic Constellation of Great Stars."